Something new for the blog this time. January is the month for the creme de la creme of French trotting. 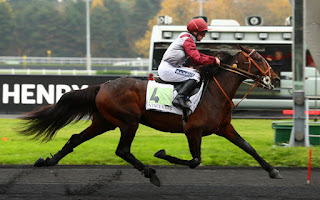 The Prix d'Amerique has been on my bucket list for years and it comes up next weekend. But first, it's the world's top Monte race (for trotters that are ridden, rather than driven with a sulky). Penning the preview, it's international harness racing enthusiast and racecalling prodigy, Luke Humphreys - @WorldRacingLuke. 1: CATALOGNE: Qualified for this when finishing third in the principal trial race a fortnight ago, two starts at G1 level have resulted in early disqualifications, not up to this. 2: BOHEMIAN RHAPSODY: Like the stablemate, qualified for this when second in the G2 trial race two weeks ago. Also finished third in another G2 trial race in November. However this is first time at G1 level. 3: CLARA DU PONTSEUIL: Has never proven up to this level in her career to date, no chance. 4: BE MINE DE HOUELLE: Not in good form at the present time, saw her win the feature mounted event of the season in Sweden a couple of years ago at her best, but not in best form currently. 5: RECKLESS: Ready Cash 8yo that is the only International runner in the field from Sweden for Björn Goop. Undefeated from two under mounted conditions, this is toughest mounted test to date however, was third to the brilliant Readly Express five back. Each-Way. 23yo Jockey Jean-Yann Ricart in career best form, rode a 100/1 G1 winner last month, a significant booking. 6: VAQUERO DU MONT: Lucky to make the field, hasn’t won since March 2012 - I only started calling races then so long time ago! 7: TRADERS (pic): Best known for beating Bold Eagle in November 2016. Winner of the first trial race in November but disappointed two weeks ago as favourite when weakning for fourth. Has new shoes for the first time in his career, which is significant. This has been target for the last three months. 8: CANADIEN D’AM: Best of his generation under mounted conditions when right but plenty of disqualifications in last few starts. 9: ALIENOR DE GODREL: Ninth in this 12 months ago. Well beaten last couple however. 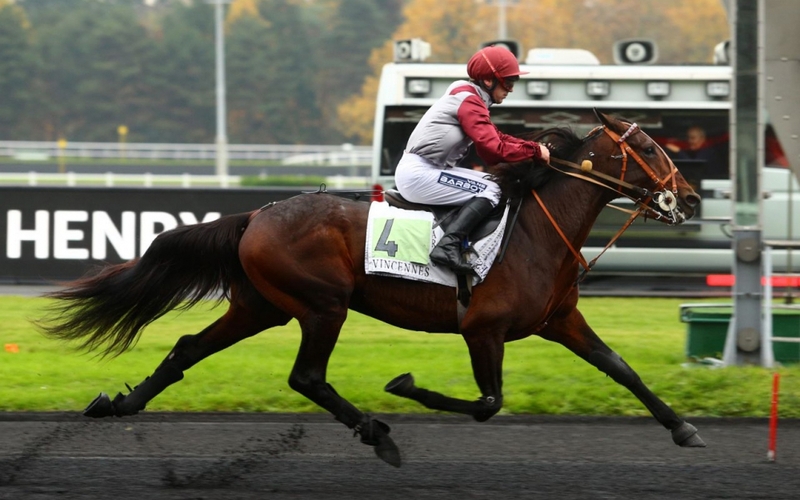 10: DRAFT LIFE: Only two starts under mounted conditions, one win for a romp in fast time in the G1 Grand Prix du Président de la République, French 4YO Mounted Championship, and a disqualification. Driven G1 second on Boxing Day last time. Definitely worth following. 11: ULKA DES CHAMPS: 12th in this 12 months ago. G2 winner three back, place chance only. 12: CYPRIEN DES BORDES: Trainer has won this race eight times in the past. This horse is a G1 winner, needs the breaks but if they come can get close no doubt. Probably places more often than wins for my liking but. 13: BEST OF JETS: Eighth in 2016 and disqualified in 2017 in this. Mixes code from driven and ridden but not quite good enough for G1 victory. 14: UDAYAMA: G1 winner in February 2015, not up to that form anymore however. Fourth and final consecutive run in the race, fourth in 2015, ninth in 2016, 11th in 2017. 15: ATHENA DE VANDEL: Disqualified in this two years ago, is a G1 winner. 16: BILIBILI: Won the principal trial race in a breeze a fortnight ago. Already the winner of some of the biggest mounted races there is, great chance to add the biggest of all. Third 12 months ago. 17: ATTENTIONALLY: Likes the race, third in 2016 when unlucky and then fourth 12 months ago. That’s probably the only positive. 18: BELLISSIMA FRANCE: Looked close to a certainty in this 12 months ago and justified that with a top win. She has been nowhere that form since though, if back to form from last year very hard to beat, but at the present time that doesn’t look like happening. Better run a fortnight ago but needs to get better again.